What I Wore | Nerf This! If you’ve been seeing my posts over the past few weeks, you’ll know this isn’t my first time posting something related to the game Overwatch, though it is my first outfit post! I picked up both the Nerf This! tee and the bunny tights at Connecticon last month, and I’ve really been loving the combo together. (I did get asked on instagram though, and I’m so sorry but I can’t remember the vendor who sold this :< ) DVa is my favorite character to play (& Lucio! ), and she’s so adorable, too. This inspired outfit is a lot of fun to wear, and the bunny tights really pulled it together for me. 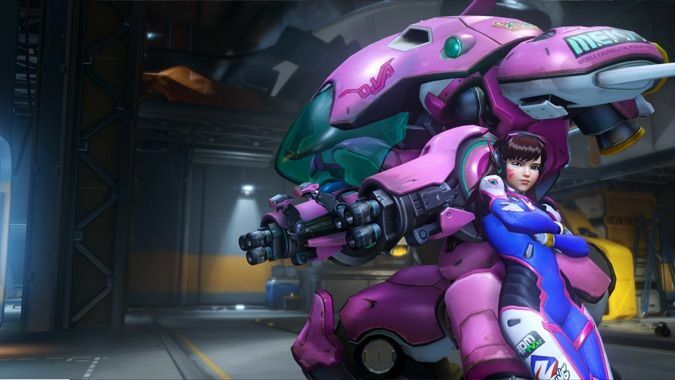 Who is your favorite Overwatch character, and what do you think they’d wear if they went “casual”? I bought this awesome Jedi Dress by We Love Fine from Think Geek back in December for the premiere of Star Wars. Can we say awesome? I do prefer it with the hood up, but it’s not exactly a typical look. Fun to wear though! I paired it with some brown lace up boots and threw a sweater on because it’s cold. Since it’s sleeveless, I’m looking forward to wearing it during warmer weather. Oh, and if you’re not a fan of the Jedi, they also have a Sith dress. Which means I have to ask… are you a jedi or sith? Oh hey, an outfit post? Today I’m sharing with you a pair of eyeglasses I received from Firmoo, and online eyeglasses store. This isn’t my first pair of Firmoo glasses; I posted about them back in 2012! Just as I was pleased with my first pair, these were no different. The quality is great; comparable to my “designer” eyeglasses and pairs from bonlook. I always worry about the thickness/reflectiveness of lenses (since my eyesight is pretty bad), but these glasses hold the frames well, and while they are a little reflective, it’s nothing that’s terribly noticeable, nor would it deter me from wearing them. If you’re looking for a pair of cheap eyeglasses, definitely check out Firmoo. They have daily new as well as discounted styles to check out. Do you have any pairs of Firmoo glasses? If so, I’d love to see! Note: This a post in collaboration with firmoo.com. All opinions are my own. Oh hi, it’s been a while? I took an unexpected hiatus, which turned out to be longer than it probably should have. I’ve taken the time to re-focus my energy and determine where I’d like this blog to go. It started as a place to house my doodles, somehow morphed into a fashion blog, then a lifestyle blog, then dipped its toes into the geek culture scene and now I’d like to position it to be a bit of all. I may start posting things that differentiate from my norm until I find my aesthetic and voice again, but I do have some posts queued up that I can’t wait to share. I bought this awesome Companion Cube shirt and have been wearing it non-stop. Bonus points if you know what this is from! So far, only a cashier at Target has guessed :> This has already become my favorite geeky clothing item I own! Do you have any “nerdy favorites” in your wardrobe?